The blocks in this beautiful quilt are made by using 3 - 6 1/2" squares of fabric. The center of the quilt is sewn using long strips of large print focus fabric. 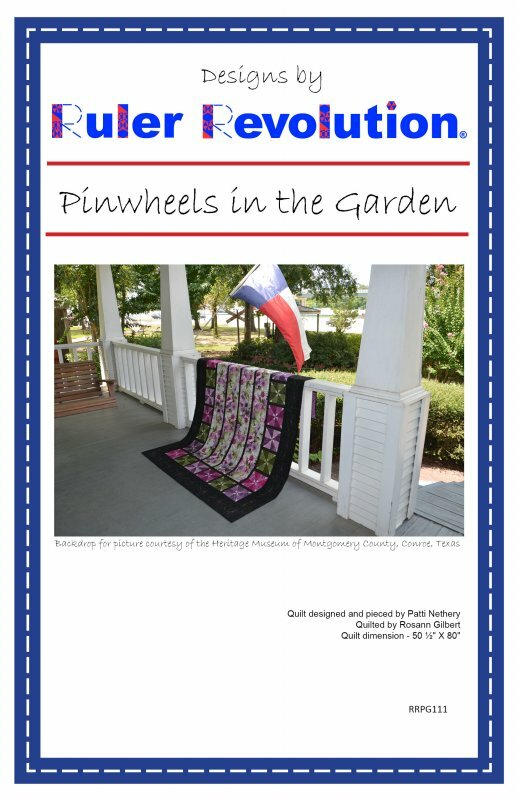 You will be pleased to see how quickly your garden of pinwheels will grow.